Ragnarok has come and gone, and both the world and the gods are still around. After the defeat of Baldur, Lain, who is perhaps both Loki and Baldur, must return with Odin's spear to Asgard. Odin, Thor, and many of the others are dead and gone, the god's children seek to claim the former power of Asgard's glory, Hel was slain in combat and seeks to claim her place among the honored dead, and the Wyrd twists lives, pulling gods and mortals alike. Sigmund is both a young man, a low-level IT tech, and the avatar of a Norse goddess who was the wife of Loki. Em and Wayne are the reincarnations of the Valkyries slain in battle. Still coming to terms with what they are, and what that means, they all must reclaim roles to prevent a second Ragnarok. 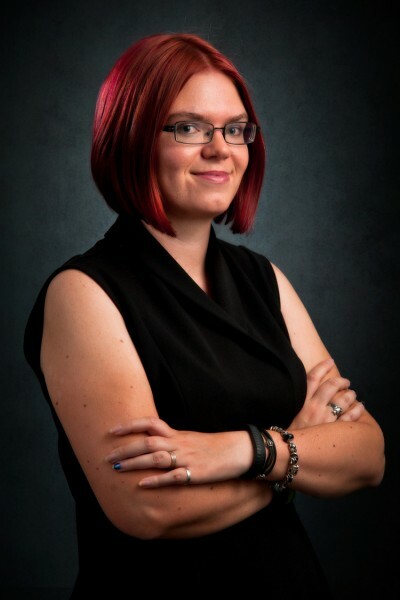 Alis Franklin has graciously shared her time with me to answer some questions as part of a TLC Book Tour for her latest novel, Stormbringer. First off, thank you for your time, it's great to have you here. Thank you, it’s great to be here! You've definitely paid homage to the original myths, what's your favorite myth that you've incorporated into Stormbringer? Definitely the “NWGFFO” callback chorus to “Am I Ever Gonna See Your Face Again?” by The Angels. Which is maybe not what most people imagine when they think of “myths”, but the song has an important place in the Australian music scene which I thought would be fun to share. To be a bit pretentious about it, the NWGFFO callback is about the relationship between the consumers of media and the producers of it. “Am I Ever Gonna See Your Face Again?” was never a huge hit until fans made it a huge hit by adding the meme onto it. In the context of cultural myth making, I think that’s the key component. Not that the creator creates a work, but that audiences latch onto it and transform it into something bigger and more broadly applicable than just the original artist’s “baby”. It’s alluded to a couple of times that this is how gods are made in the Wyrdverse, so the inclusion of the song is my little nod to that process. On your blog you quote Laurie Penny, the "right" vs "wrong" type of fans, representation, and cultural myth-making. How does Stormbringer fit into your idea of cultural myth-making and representation? I cut my young writer’s teeth writing fan fiction, so this is something I have a lot of Feels about. The fanfic communities I grew up participating in were always overwhelmingly queer and female, as well as interested (albeit often imperfectly) in intersectionality and social justice. Fanfic then became a way of critiquing mainstream media through that lens, so I’m used to the idea of transformative works being exactly that: transformative. In that they take a source text and interrogate it for tropes and biases, with the produced output often being ways for their authors to work out those issues in their own minds (as well as being a piece of fiction). So it’s interesting, coming from that background, to surface into modern pop culture, which is saturated with what is essentially “corporate fanfic” in the form of franchises and remakes. I think there are a lot of questions in there about who is (and isn’t) chosen to produce these works, what audiences they’re marketed for and to, and why some “fanfic” is given the stamp of legitimacy while other fanfic is not. Just why can’t Spider-Man be gay or black? And not to put too fine a point on it, there are a few things people like Joss Whedon (Marvel film fanfic), John Scalzi (Star Trek novel fanfic), Steven Moffat (Sherlock Holmes and Doctor Who TV fanfic), and Chuck Wendig (Star Wars novel fanfic) all have in common. I’ll let the reader figure out what they are. So while none of that is the fault of the people mentioned, I think it’s worth having a discussion around why them in particular and not someone else. 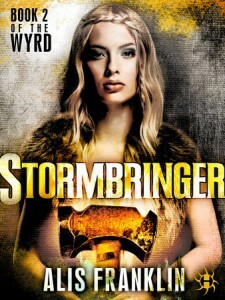 With regards to Stormbringer, the main tension the book does come from that idea about the unchanging continuation of the old narratives versus modern outsider deconstructions. So if characters like Farbauti and Móði are there to represent the “corporate fanfic” of Ásgarðr—the officially sanctioned continuation of the franchise—characters like Sigmund, Em, and Wayne are there representing the kind of fanfic I grew up writing. The stuff produced from communities who consume the media, but—by virtue of being queer, female, and/or PoC—always consume it knowing they aren’t intended as the primary audience. In Stormbringer, it’s this ability to deconstruct and old narrative and, importantly, to reconstruct something new that becomes the key to saving the world. In other words, I guess Stormbringer continues Liesmith’s tradition of being Norse mythology fanfic about Norse mythology fanfic! Do you think the current surge of Norse mythology in popular culture effects the reception to Liesmith and Stormbringer? I’m sure it does. Marvel’s version of Norse mythology in particular has its own cultural weight that’s often heavier than that of the original mythology. Even down to simple things like the idea of Mjölnir only being able to be lifted by the “worthy”. Then there are things like people telling me they imagine Travis Hale as looking like Tom Hiddleston, which I find interesting given the fact that Hale is non-Anglo is explicitly a plot point in Liesmith. Music definitely takes the stage (pun intended) in Stormbringer, do you have a preferred soundtrack to write to? Absolutely! And I’ve written a little more about Stormbringer’s soundtrack at my blog. For the Wyrdverse more generally, I love a good mashup to write to, because I think the blending of songs—particularly songs of disparate genres—fits in really well with the “fantasy kitchen sink suburbia” nature of the series. What authors/books are on your "must read" lists for others? At the moment I’m reccing Sprawl to all and sundry. It’s a collection of Australian suburban speculative fiction stories, and I love it because it challenges a lot of the stereotypes non-Australians have about Australia. I’m also waiting for Dr. Helen Young’s non-fiction Race and Popular Fantasy Literature: Habits of Whiteness, which is a critical look at race and white privilege in modern fantasy canons. Plus I’m also all over Jordan L. Hawk, Emmie Mears, and Heather Herrman, all of whom I think are all doing interesting work in paranormal romance, fantasy, and horror. Thanks for featuring Alis for the tour!